The initial consultation with treatment will last 60 minutes as the detailed case history is taken. It’s followed by pulse and tongue examination. I also analyse patient’s predominant facial colour, vocal sound, emotion, and odour. From these information I develop a unique to each patient treatment plan. What does typical acupuncture session involve? Appointments are generally scheduled for 45 minutes to one hour. Before each treatment I ask patient how he/she feels. The pulses are read and needles and/or moxa needles are applied. Often, after treatment, the patient will spend a few minutes simply relaxing, lying on the treatment table, to allow the energetic changes to settle in. Dietary and other lifestyle recommendations will be discussed at appropriate times throughout treatment. The World Health Organization (WHO) lists approximately four dozen different conditions that can legitimately be treated by acupuncture. The most common uses for acupuncture include: Pain Management,, Alcoholism, Smoking, Asthma, Bronchitis, Stroke, Headaches, Sinusitis, Gastrointestinal Disorders (Ulcers, Constipation, Diarrhoea, Irritable Bowel Syndrome), Gynaecological (Menopause, PMS, Polycystic Ovarian Syndrome, Menstrual Cramps), Obstetric Problems, Urinary and Sexual Problems. Further information on the conditions treated. Most people find acupuncture relaxing and often feel very calm after a treatment. You may also feel tired or sleepy. Acupuncture is one of the safest medical treatments, from both a conventional and complementary perspective. I only use pre-sterilised single-use needles which are safely disposed of after your treatment. As a member of the AFPA I adhere to the strict regulations and codes of ethics set down by this body. All treatments are carried out in accordance with exemplary professional standards developed by the AFPA as outlined in the Codes of Safe Practice and of Professional Conduct. Also, whilst acupuncture is perfectly safe during pregnancy, you should advise me, as some acupuncture points are contra-indicated in pregnancy. Also, please notify me if you suffer from a condition transmissible by blood (HIV/AIDS, hepatitis) or have a pacemaker. If you are a blood donor, you cannot donate blood for a minimum of six months following acupuncture treatment. See the IBTS website for more details. Acupuncture has very few side effects and any that do occur are usually mild and self-correcting such as dizziness or slight bruising around needle points. Cupping and Tui Na can sometimes temporarily mark the skin. Such bruising is painless and generally clears within a day or two. 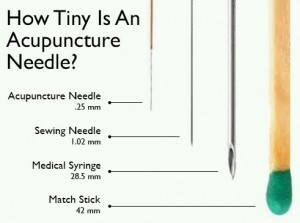 I use sterile, disposable Chinese needles that are discarded safely following each treatment. Receiving an acupuncture treatment is usually a relaxing experience, and a patients often drift away during the session. Acupuncture needles are hair-thin, and any sensation produced can be likened to a tingling sensation in the body. Number of treatments needed will vary. It depends on many factors, such as the general state of health and well being of the patient, and the nature of the complaint – whether it is chronic or acute. Generally a course of 6 sessions is recommended for internal conditions such as digestive system disorder, Gynecology, etc, and a course of 3 sessions is recommended for external conditions such as frozen shoulders, lower back pain, etc. Normally after a course of treatments, the patient would feel the changes and improvements. Yes, Malou Acupuncture is is a member of the AFPA and is fully insured. The following health insurance providers recognize our clinic and cover treatments: VHI, BUPA/Quinn, AVIVA, Laya and HSF covers for professional treatments. Please check your individual policy details. Where is Malou Acupuncture located?